Q: Thanks for taking the time to stop by today, A.M. For those who aren’t familiar with Into the Darkness or yourself, please tell us a little about yourself and what we can expect. Thanks so much for inviting me. Well, to start with, I’m a native and long-time resident of Pittsburgh, PA. I’ve been writing stories and doing art since I was little, but I only started thinking of writing as a career path after I left art school. Looking back over my life, I think I've been working my way up to a horror and fantasy writing career for a very long time. There was a horror story I wrote when I was in grade school that I remember making an impression on my teachers and parents, but for some reason, no one really encouraged my writing, just my art work. Now that I've found my niche with writing, I guarantee I won’t be leaving it anytime soon, and readers can expect many more books and stories to follow Into the Darkness. Q: The journey from 'aspiring' to 'accomplished' can be a long one, even in the era of small presses and digital publishing. Given that you originally copyrighted Into the Darkness in 2006, what has your journey to publication been like? The journey has been a long one, for sure. When I originally copyrighted the book, the small press, digital publishing, and self-publishing markets were not at all as well-developed or accepted as they are now, and a lot of the advice for how to go about getting your writing read by agents and editors has always been complex and confusing. So, back in 2006, I had a novel that I loved and others agreed was good, but I had no idea where to start with getting it published, and no one seemed able to give me good advice either. Eventually, I put the book aside and concentrated on the technical writing career I had that was actually paying my bills and then some other life events got in the way of my coming back to the book. Before I knew it, almost nine years had passed since I copyrighted the book. I decided I wasn’t going to let another year pass without getting the book out to market, and I decided to self-publish as a shortcut, under the Mighty Quill Books name. Even self-publishing, though, the process for getting a book ready for the market is a complex process. Fortunately, I found myself with a lot of time to complete the long list of necessary tasks, because I was laid off from my job of nearly 10 years last November, after the company was purchased by a larger company. 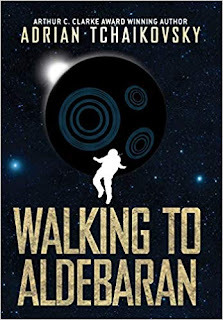 Please don’t get me wrong, being unemployed is awful, but the one upside to the whole thing was that I finally had the time to do the final prep work on my manuscript, create the cover art, review proof copies, and do all the other things required to send a book to market. You know what they say – when life hands you lemons, make lemonade. My being laid off is certainly one of those situations. Q: It seems like those corporate buyouts and layoffs are becoming the norm, but I'm glad you were able to make use of the opportunity. In terms of writing, what comes easiest for you, and where do you struggle the most? Is it the title? The first paragraph? The last chapter? The cover blurb? The easiest parts of writing for me are developing the characters, and knowing how the story will start and how it will end. I try not to stress about the title of a work too much, because I know it will come to me as the writing progresses. One of the hardest parts of writing for me can be the middle parts of a story, because I know where I want to get, but sometimes, there are gaps in the bridge that get me there. Figuring out how to fill those gaps can present challenges. Also, figuring out the cover blurb, and how to sum up my story in just a handful of sentences is really hard for me. I’m not really known for my brevity. Q: Speaking of those gaps and bridges, sometimes characters can take on a life of their own, pulling the story in directions you hadn't originally anticipated. Were there any twists or turns in your writing that surprised you, or really challenged your original plans for the story? Yes, I absolutely agree that sometimes characters go off in a direction which we writers cannot fully anticipate. This is something that I think non-writers don’t always understand when we talk about that happening. I would say the thing that surprised me the most about Into the Darkness was just how dark it turned with chapter 14. I think that’s when the mood of the book really turned on a dime, and the book just took on a whole new life that felt beyond my control. There is a particular scene that comes near the end of chapter 16 that honestly shocked me when I got there. I don’t want to give away spoilers, but I think anyone who’s read the novel probably knows which scene I’m talking about. At the time I was writing that chapter, when I knew what happened next in that scene, it stopped me for a moment, but ultimately, I knew I had to the let the story and characters go where they wanted, rather than where I might want them to go, in order to have a really great story. Obviously, I have to be satisfied with what I write first and foremost, otherwise, it will never see the light of day. That said, I will point to a passage in Stephen King’s On Writing, where he talks about being a new sports reporter under editor John Gould. To paraphrase, Gould taught him that the first pass on writing a story is for the writer, but the rewrite is when you take out anything that is not the story - those things that the reader/reviewer either doesn’t need or won’t care about. That made a lot of sense to me when I read that, so with my first pass, everything is for my benefit, but on the editing passes, I take out what I know is unimportant to the development of the characters or the story, and will only weigh down the story. And, honestly, I try to limit how much I worry about how a reader will react to a scene or a story. I know that not everyone will like what I write, just like not everyone likes what Stephen King or Neil Gaiman writes. If most people like something I write, I’ve crafted the story well, and if people don’t like it, I try to see if there’s a lesson for my writing to be learned from their feedback. Q: I know Into the Darkness hasn't been out there long, but in terms of reader reactions, what is the strangest or most surprising reaction to your work that you've encountered? This may sound a little silly, but the most surprising thing to me has been how well the book has been received publicists and reviewers who’ve read it so far. 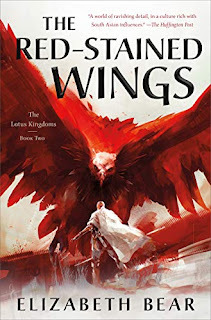 I mean, I love this book and really believe in it, and my family and friends have told me how much they love it, but I didn't expect to get as strong of a positive reaction from other readers. Friends and family usually try to pump you up, right? 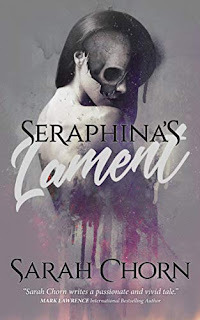 But, it really caught me off-guard when Jessie Stratmann, the first person to post a review of the book on Goodreads, stated in her review, “For the first time I truly feel inadequate trying to describe how amazing this book is!” I felt really flattered by her review. I've been told my writing is really good, but no one has ever told me it left them at a loss for words. Q: That sense of validation is something else, isn't it? I know you’ve listed King, Gaiman, Straub, and Lovecraft as influences, but is there one particular author who most influenced or inspired your writing? 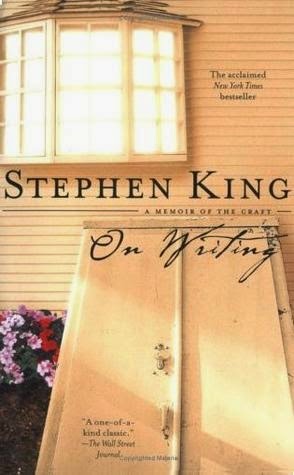 I would have to say Stephen King has been the greatest influence to me, because from his fiction to his non-fiction works, I’ve learned more about writing and character development from him than from any one other writer, I think. He takes such care with developing his characters into rich and complex figures, likeable or not, and I try to emulate that by doing the same with mine. I always feel like I can take away a new lesson from something he wrote and how he wrote it. Q: Along the same lines, is there an author who you regularly turn to for entertainment, somebody who refreshes your literary batteries? I’d say I turn to both Stephen King’s and Neil Gaiman’s writings equally for something new and interesting to read. They’re both so good at creating interesting characters and stories. I always look forward to what they’re going to put out next. 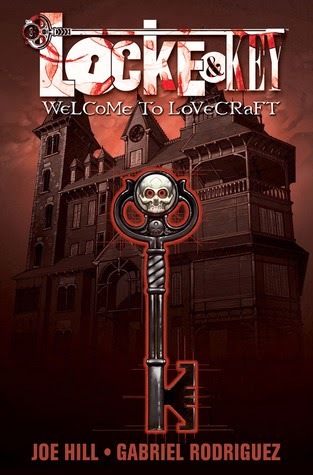 I also really like the Locke & Key series by Joe Hill and Gabriel Rodriguez right now, too. It’s a great story, and the art is really rich. Honestly, I can’t say I have any one actor or another in mind for most of the main characters. Maybe because they seem like such real people to me that it’s almost like deciding who would play me in a movie, which again, I couldn't even begin to guess, even if something was proposed. But, for Tynan, Kenneth Branagh actually comes to mind. Tynan wasn't a young man when he died, and I think Kenneth Branagh has done well portraying pompous yet somehow likeable characters, like Tynan. As for Aeryn and Theo, though, no one instantly pops into my mind as the go-to actors for those roles. All that said, I’d really like to see Into the Darkness made into a movie – I think it would do really well as a movie, or even a short-run TV series – and I’d really look forward to who might be suggested for casting the roles of Aeryn and Theo. Q: Haven't seen much from Branagh lately, but he's always a great choice. Before we let you go, what can we look forward to from you next? Are you sticking with the theme/genre of Into the Darkness, or is there perhaps something completely different on the horizon? Definitely, you can expect a follow-up book to Into the Darkness. That’s already in progress. Also in progress is a book set in the same world as Into the Darkness, but following different characters and storylines. Both stories are in keeping with the dark fantasy and horror genres. That’s where I feel most at home. I also have a sci-fi series (equally dark, I assure you) that I’ve been picking at for a while now. I see that as having the potential to make a really good and dark TV series. And, I have a character whose story I think would do well as a graphic novel. So, lots going on in my head, to be sure, and plenty for readers to look forward to, I think. I want to say thanks again for inviting me. This has been a lot of fun. Thanks again for stopping by, A.M., and best of luck with the book! A.M. Rycroft is a native of Pittsburgh, PA. Into the Darkness​ is her first novel. The novel was originally completed and copyrighted in 2006, but life threw her some curveballs and her focus on publishing the novel was put on hold until just this year. A.M. is happy to see Into the Darkness finally come to print. Now, she is focused on generating interest in the novel and finishing the other novels she's working on. A.M. has lived in various parts of Pittsburgh (from its suburbs to Oakland and Shadyside and back again) for the majority of her life. Her love for Pittsburgh is only rivaled by her love of Salem, Massachusetts. A.M. and her spouse first visited Salem in 2009, and they now consider it their "other" hometown. They look forward to returning to Salem every fall. Besides creating imaginary worlds and immersive stories, A.M. enjoys photography and art, and active hobbies like weight training, running, basketball, and hockey. Follow A.M. Rycroft on Facebook and Goodreads. 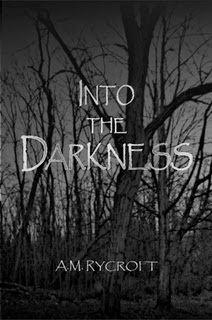 A cursed cavern, a fierce battle for a sword, and a reborn evil god are just a sample of what readers can expect in A.M. Rycroft’s debut dark fantasy novel, Into the Darkness. Long ago, a once-famous adventurer sealed his treasures away in the Black Caverns, cursing them as he died. Aeryn Ravane, a headstrong sell-sword on a mission to honor her late father and complete the quest he never finished, has finally found the key to unlocking the Black Caverns. Unbeknownst to Aeryn, rumor of this find has brought unwanted attention her way, including that of a young thief seeking to buy her brother’s freedom. When their paths cross, they soon discover the dark secret the caverns hold within them and nothing is as it seems. Faced with an ancient evil bent upon resurrecting a long-forgotten time of darkness and suffering, both sell-sword and thief must face down their fears and work together to push back the darkness once again.